The equestrian curriculum at Odyssey Heights requires far more than most stables are able to provide. Yet, we've found a very special place that not only meets, but exceeds all our equestrian curriculum needs. 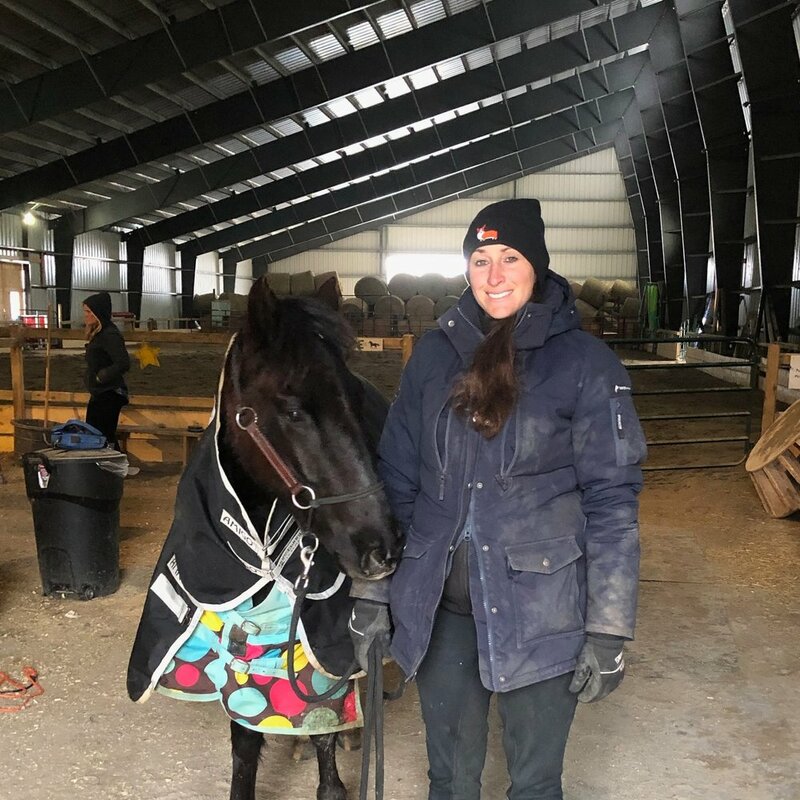 Partridge Horse Hill, owned and managed by Lindsey Partridge, will be Odyssey Heights' home for the equestrian curriculum starting this fall 2019. Situated in beautiful Kawartha Lakes region, and surrounded by conservation areas, the stables is just 75-90 minutes from Bloor and Spadina. natural horsemanship through the Harmony Horsemanship program. In addition to these four strands there is one 'major reading' per year plus Harkness Discussions on the readings. Harkness Discussions for the Agriculture and Environment courses take place in the viewing room at the stables, or on OE3 overnight or day trips. Over the school year, students spend at least 15 Fridays focused on hands-on equestrian curriculum learning. That's the equivalent of 3 school weeks with and about horses! The majority of these days are at Partridge Horse Hill. A few other days are spent on equestrian trips to The Royal Winter Fair, Guelph, donkey and horse rescue facilities, wilderness horseback riding, The Toronto Zoo (zebras! ), and/or vet clinics. The equestrian strand of Agriculture and the Environment is holistic focus on horse behaviour, and natural horsemanship and training, plus stable management, and both practical and academic equine science. Click Here to Learn More About Agriculture & the Environment courses. Lindsey Partridge is owner of Partridge Horse Hill, founder of Harmony Horsemanship, president of Natural Horsemanship Association, and a Registered Nurse. She has been a Horse Wrangler for feature films, a champion at the 2015 and 2016 International Thoroughbred Makeovers, won many awards and titles for Extreme Cowboy Racing, Jumpers, and Horse Training. See Lindsey in the Media click here. Author of Natural Horsemanship Answering the What, Why, and How for ALL Disciplines. She has been riding since she was 8 years old and coaching natural horsemanship since she was 16. Even though Lindsey has a very busy schedule, she will be teaching Odyssey Heights students for at least a few of the 15 (or more) days that we spend at the stables. Odyssey Heights students will enjoy being around and petting the Corgi dogs that Lindsey breeds - and also trains for movie roles. View her recent Extreme Bridleless performance below.